Whether you are part of a major cruise line or exploring Alaska on your own, exploring the ports is the most fulfilling parts of your adventure. There’s plenty to enjoy at the many ports of Alaska, whether it’s planned by your cruise line or you are visiting Alaska on your own. You can go for the major ports or discover the hidden gems with a quainter hometown feel to them. No matter what you choose, the ports of Alaska are sure to delight you. Whether you have been, are planning to go for the first time, or seeking out to visit again, here is a list of some ports you might want to consider. Anchorage is probably one of, if not the most, popular ports of call. It boasts the title of the biggest city with the most to see and do, but Anchorage is more like a multi-faceted diamond. It has many sides. Of course, there is the tourist side, but if you take a little detour you will be pleasantly surprised at the fun and original side of Anchorage. When you think of Anchorage, you probably don’t think about art galleries. In Anchorage, you can find yourself in the midst of some pretty impressive art and artifacts as you make your way through the one and only Anchorage Museum. If you’re feeling outdoorsy, pick some blueberries or rent a bike. Don’t forget to grab a rod and reel and cast your line for the evening’s salmon dinner. If you are stopping in Anchorage, dig a little deeper and you will find way more than the typical touristy stuff. If you love seafood, you’re going to love Ketchikan. It’s known as the salmon capital of the world. The freshest seafood anywhere on the planet is probably caught in Ketchikan. What’s unusual about Ketchikan that might spark your interest? How about a museum known as Dolly’s House Museum; an interesting house tour with a twist. Let’s just say that Dolly was a well-known madame about town in Ketchikan. Want to do something out of the box in Ketchikan? Attend the Great Alaskan Lumberjack Show as many lumberjacks fight for the title of top lumberjack. Plenty of action and plenty of activities to view as a spectator. Don’t forget to take some time out, grab a kayak and breathe in the awe-inspiring scenery. Ketchikan is quite a mix of fun, interesting, and relaxing events for you. More popular in the summer months, Nome is plenty of fun. You can watch the Mushers mush in the Iditarod Race, check out the Midnight Sun Festival where the people celebrate 24 hours of daylight (and who wouldn’t celebrate that?) and even bear witness to The Great Bathtub Race – folks racing around in water-filled bathtubs down the street to the finish line. Great fun for sure. 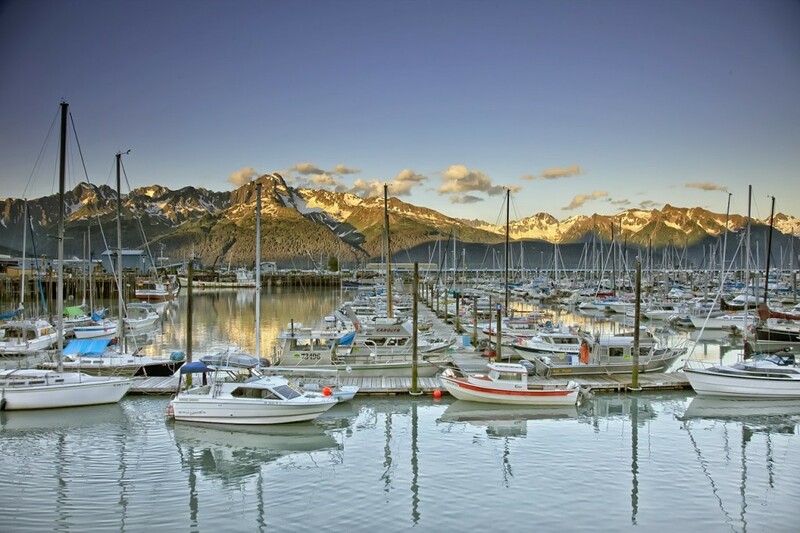 If you’re looking for the port with the most natural setting, Seward might be the one for you. Plenty of outdoor activities. Go fishing for a few, hike through the Chugach National Forest, watch for bears at Bear Lake, you name it. Seward’s got it. Sitka may be small in stature, but it’s not small when it comes to charm. Part of that charm comes from only being able to arrive either by air or by sea. The annual “running of the boots” race might give it some of that charm, as well. Every fall, folks put on their rubber boots and some pretty intriguing costumes to welcome the new fishing season in. Couple of nice museums, cultural tours, and plenty of breathtaking scenery to make you want to stay in Sitka a little longer. While it is a small city, Valdez in not short on vibrancy. The awe-inspiring beauty of its natural and serene settings is enough to make you want to stay a while longer. Prince William Sound and the Chugach mountain range, fishing everywhere you turn and world extreme ski championships give Valdez an exciting mix of things to do and see. Juneau might be known as one of the most unique ports with no roads in or out of town; if you want to visit Juneau, you have to go by air or by sea. The Alaskan Brewing Company is a tour some will enjoy immensely or, if you are feeling adventurous as soon as you pull into the dock, you might want to zip line with the scenery of Alaskan mountains as your backdrop. Whale watching and glacier viewing are great ways to spend some time in Juneau. If fresh mountain air and sparkling clean lakes make you want to shop till you drop, Skagway has what you need. Skagway is lively, entertaining and busy as far as ports go with hundreds of thousands of visitors every year. Gift shops offer local, cultural arts and crafts as well as beautiful jewelry. You can catch a re-enactment of a scene from the Gold Rush or walk around downtown taking in all its charm. Plenty of history and wildlife viewing. If you are seeking to get up close and personal with wildlife, then Haines is the port for you. Chilkat Valley is home to plenty of brown bears and Chilkoot River hosts the dinner table where brown and black bears feast on salmon. Haines is host to the bald eagle festival each year in November, and if you want to see thousands of eagles all in one place swoop down for feeding time, then Haines is the place to capture sight or photographs of those magnificent creatures. With a host of ports like this to choose from, you might just find yourself pulling into Alaska’s docks more than just once. © 2013 Alaska Car Transport - All rights reserved. a division of V2 Logistics Corp.